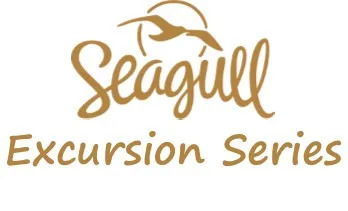 This is an overview of the Seagull Excursion series of acoustic guitars. These guitars are Seagull’s lowest priced guitars – coming in at an average price well under $500 (USD). O.k. let’s take a look at each guitar in more detail individually. The first of the Excursion series I’ll look at is the Excursion Natural Solid Spruce. This is the dreadnought model. As the name suggests, this guitar features a Solid Spruce top. Like all Seagull guitars, the Excursion series guitars also feature their unique tapered headstock. This guitar, and all the guitars in the Excursion series, features a shortened scale length – 24.84” (631mm) – which helps to make the guitar easier to play for beginners. So as well as the price tag, this also helps to make them suitable as beginner guitars. This is simply the same as the first guitar above, except that it comes with built-in electronics. 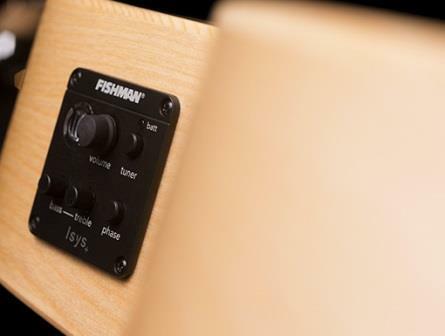 This is a Fishman electronics setup including preamp and an in-built tuner and all the basic controls like volume, bass, treble and phase. This has all the same materials as the Dreadnought model – and the same scale length, nut width etc. The major difference is the body shape. It is a smaller body shape – and that will have a significant difference on the tone and will also affect the feel of the guitar. 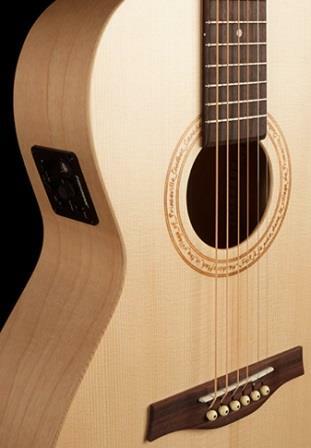 This model is the same as the Excursion Natural Folk Solid Spruce except that it has in-built Fishman electronics. Finally, we come to the Grand models. Again, this model features the same materials and pretty much everything the same as the preceding models with the one big difference being the shape/size. As you can see the Grand Models are considerably smaller than the other 2 models. 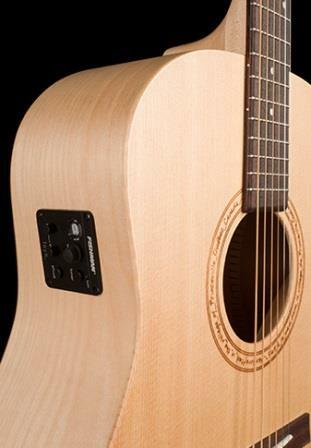 This model is the same as the Excursion Natural Solid Spruce Grand except that it has in-built Fishman electronics. There you have a quick overview of Seagull’s Excursion series of guitars. Hopefully this has helped you to learn more about them. If you’re looking for a reasonably priced entry level guitar that is still of decent quality, then the Excursion series is worth taking a look at.